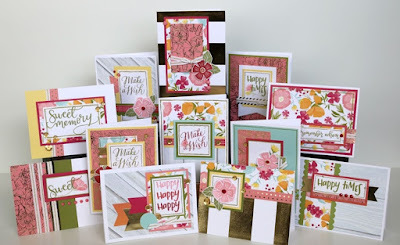 Sweetly B Squared: Papercrafting/Cardmaking Fun! I'm so excited! A friend and I got together over the weekend and made the most adorable cards from Close to My Heart's Happy Times paper and accessories. Since I'm a rep with Close to My Heart, I hooked her up with everything she needed to make the same dozen cards I was making. 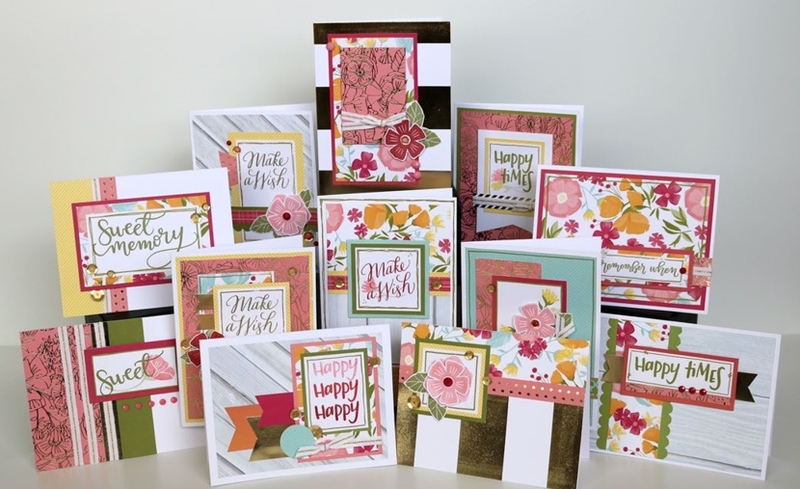 I think making cards is my very favorite, because it doesn't feel like as much of a 'commitment' as a scrapbook or scrapbook pages, and everyone sends or uses cards sometime, right? If you're interested in making these cards, or the scrapbook pages highlighted in the video, please let me know ASAP and I can get you a supply list of what to order, and then the instructions for either project. Everything is available on my Close to My Heart site at http://becki.ctmh.com. But remember, the paper pack is only free with a $60 order in May, so you want to order right away! If you're into papercrafting, what's your favorite thing to do? If not, is it something you've done in the past, or something that looks like you may enjoy it now or in the future? Cute cards! I do a lot of writing letters and cards to family members because we live so far away from them and I've always been interested in making my own. I love keeping memories with photos and scrapbooking and even making cards. I need to take time to do that soon!